Do you often wonder if it’s really necessary to rotate your vegetable crops, or is it ok to continually plant the same things in the same spots? Rotation is useful for two reasons: it helps prevent the buildup of pests and diseases specific to particular plants or plant families, and it maximizes the use of soil nutrients. Although there are some equal-opportunity scourges — slugs come to mind — that will attach everything in the garden, they are in the minority. Many of the nastiest mosaics, for example, attack legumes (peas and beans) but have no interest in nightshades (tomatoes, potatoes, peppers, and eggplants). Similarly, earworms are a real problem in corn but couldn’t care less about lettuce. By moving their favorite targets around, you make it harder for these bad characters to establish themselves. While you’re foiling the pests, you’re also managing the soil. Corn and squash require a lot of nitrogen; peas and beans make nitrogen (or, more accurately, fix the nitrogen from the air into a form that roots can use). By alternating one with the other, you can reduce the amount of supplemental fertilizer you’ll have to add. Unfortunately, corn will always be a lot taller than beets, so where space is at a premium and crops must be closely planted, it will always be wise to put the tall crops to the north of short ones so they don’t cause shade problems. One more reason people who have large gardens in full sun have an advantage over those who don’t! Not all Coneflowers are Purple! 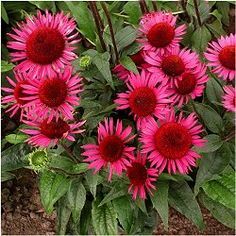 The purple coneflower (echinacea purpurea), which is native to Wisconsin, is one of the most reliable and hardy perennial plants in any flower garden. Easily surviving our Wisconsin winters, it thrives, spreads, and forms a beautiful mass of flowers that attract birds, bees, and butterflies, and self-sows to keep the garden full. 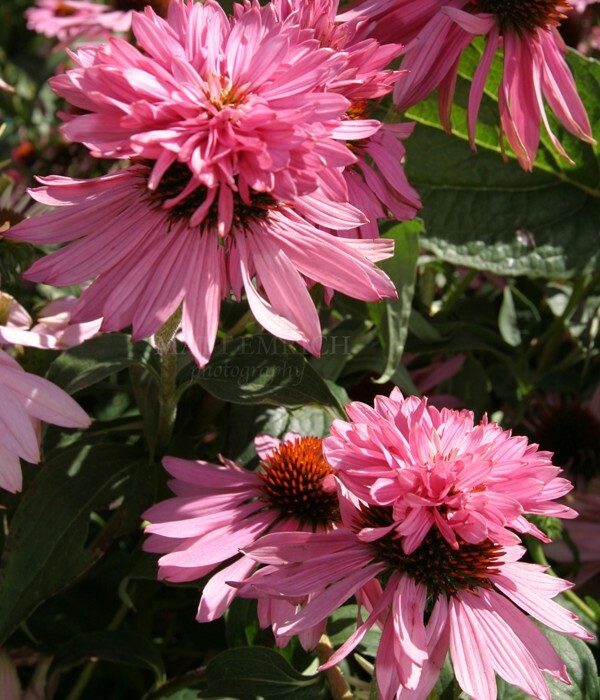 However, did you know that the simple purple coneflower is only one of many, many cultivars available to us in Wisconsin. Try some of these, or any of the newer cultivars introduced each Spring. 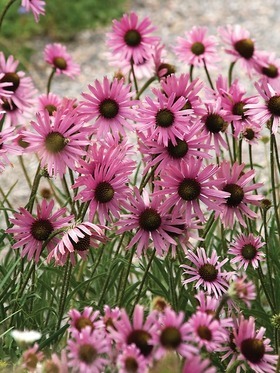 ‘Rocky Top Hybrids’ have spidery petals and narrow leaves, marking this plant as a probably cross between a native wildflower and a standard garden coneflower. These flowers, on their thin, wiry 24-inch stems, tend to follow the sun during the day as sunflowers do, so all the blooms face the same direction. 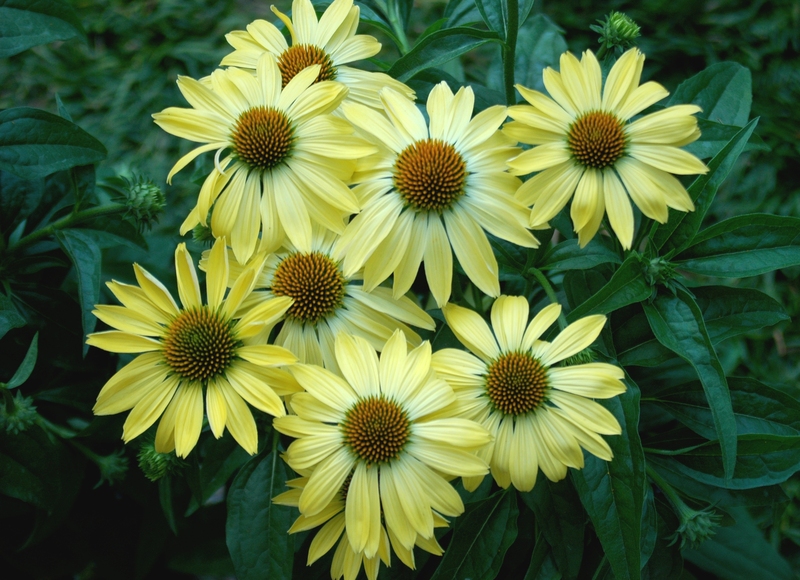 ‘Sunrise’ contains butter-yellow petals surrounding a cone that starts out green and turns gold as the flower matures. A light, sweet fragrance is a nice touch. Most are in shades of orange and yellow, and are 30-36 inches tall. the heat of summer. These plants are a little slower to take off than coneflowers with all-green leaves, but they’re definitely worth the wait. 28 to 36 inches tall. ‘Jade’ starts with white petals around the green center cone when the flowers open. As the flowers age, the center cone turns more orange and the petals droop a bit, showing their green-tinged undersides. 24 to 32 inches tall. ‘Razzmatazz’ has been particularly popular over the past couple of years due to it’s “fuzzy” appearance. Instead of a red-orange cone, the centers of these flowers are covered with tiny pink petals. Those fluffy heads are big and heavy, so plant ‘Razzmatazz’ in full sun — plenty of light will keep these 30-36 inch tall stems strong. 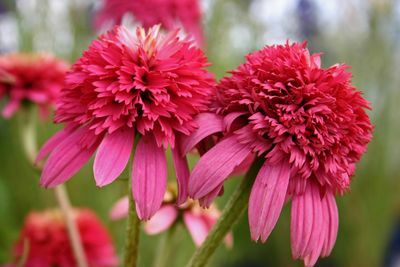 ‘Doppelganger’ might be one of the most unusual coneflowers ever created. 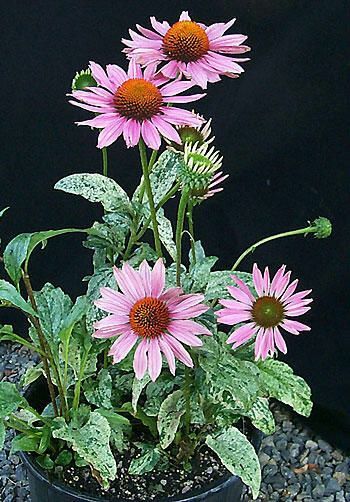 This coneflower, also sold as “Doubledecker”, has two tiers of petals. The first year or two, most or even all of the flowers mays be ordinary, single coneflowers, but one the plant is established, it’ll be covered with crazy 40-inch tall blooms. ‘Vintage Wine’ have blooms of a rich, bright pink, sometimes almost red. 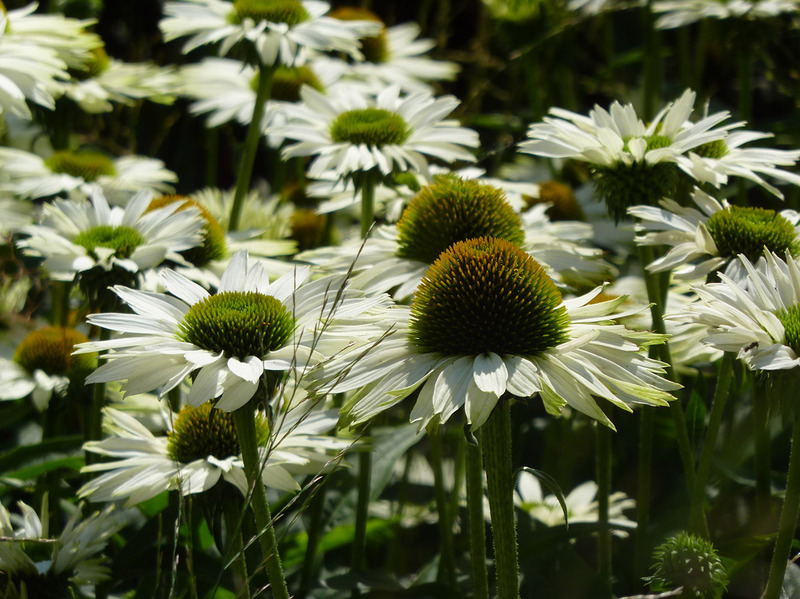 Besides the great color, the petals point out, instead of hanging down, and the foliage on this coneflower is some of the healthiest we’ve ever seen. 30 to 36 inches tall. If your outdoor living area seems a bit sterile, think about creation of definite areas through the use of living dividers. 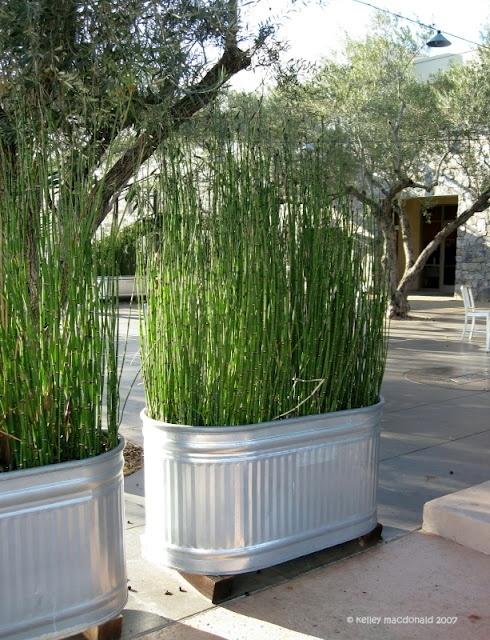 Tall plants in pots make lovely screens, defining sitting areas, providing privacy, blocking the view of trash cans, etc. And they don’t have to be expensive evergreens like you see in magazines. You can make a very effective “hedge” out of annuals like tithonia, old-fashioned tall cosmos, or cleome, or out of rampant vines such as passionflower, grown on individual trellises. Since the plants will be tall, bushy, and prone to catch the wind, it is important to provide both root room and anchorage (i.e. large containers with wide bases). Plastic pots are usually ok; the soil should weigh enough to keep them steady, but if the location is very windy, it’s wise to go for the extra heft that terra cotta provides. Balcony plantings are a special case, since they need to be both lightweight and secure. Use plastic pots, lots of perlite in the soil mix, and if they are in a place where they might fall (or blow) over the edge, bungee cords or other strong ties will make sure they stay in place. No matter how beautiful the pots are, a tide line of large containers with large plants coming out of their tops will look stiff unless it is broken up a bit. Be sure to include some trailing plants at the pot edges, and place a few smaller pots at the feet of the big ones to add variety (this is a great place to put vacationing houseplants!). 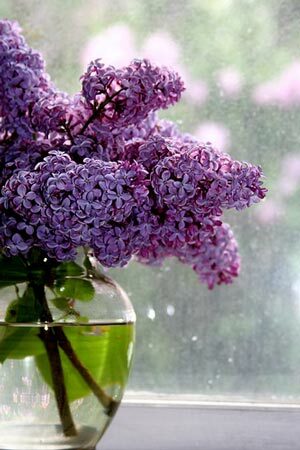 Long lasting and cut lilacs don’t go together, no matter what you do, but there are ways to have them look good for at least four or five days. Start by getting up early — lilacs cut before the day warms last longest. Select flower trusses that are about half open, and use a very sharp pruner to cut just above a leaf node. [Note: for information on caring for your tools, see our previous blogpost]. Because next year’s flowers will form on this year’s terminal branches, try to leave as many of those as possible. Once back on the ground, remove lower leaves from the stems. Fill a vase with warm water and add commercial flower preservative. Hold the bottom of the stems under warm water, and recut at a 45-degree angle. If the stems are thick and woody, use a sturdy knife to slit the bases a couple of times. Otherwise, just leave them as is. The smashing that many of us grew up learning to do is no longer recommended; badly crushed cells can’t take up wate r. Put the cut stems in the vase while they are still wet. 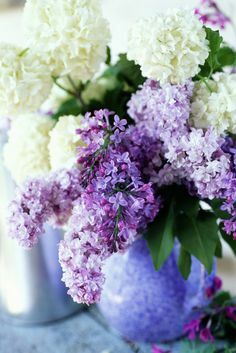 Display the lilacs in a cool place, out of direct sun and away from the fruit bowl (the ethylene gas given off by apples, bananas, tomatoes, and other fruits hastens the decay of flowers). If you have room in the refrigerator, store the bouquet in it each night when you go to bed. Don’t forget to keep an eye on the water level (lilacs drink a lot), and to change the water every other day so decay-causing bacteria won’t build up. Don’t get rid of those leaves! The weather has been beautiful — the weather has been rainy and cold. Welcome to Spring in Wisconsin! On those days that are beautiful, have you been cleaning out your gardens, lawns, and under your trees? All of those wonderfully dried leaves are just waiting to be turned into nutritious compost for your gardens. Compost provides the perfect amount of food for every plant — including essential nutrients not found in commercial fertilizers. 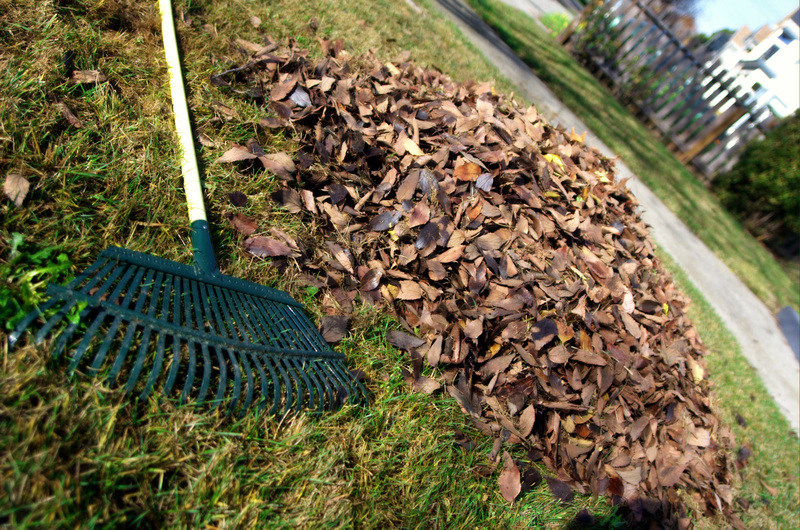 Raking compost into your turf improves the structure of the soil under your lawn. If you think that plants need chemicals to survive, just look around you! The woods, plains, and wildflowers sustain themselves without any man-made materials. It all starts with shredding those leaves! Whole leaves take quite a while to break down on their own, and tend to mat together. Whole leaves just sit there cold in compost piles. Not only don’t they help — they can actually prevent the composting process. Shred them up, though, and you create the perfect compost makings. Remember, though, that shredding decreases the volume by a factor of ten. In other words, 10 bags of whole leaves can be shredded down to the point where they can all fit in one bag. There are a multitude of publications that help you with the dynamics of what to use for composting, how to compost, what to add, what not to add, etc. You can use commercially manufactured compost bins, fenced-in piles, garbage cans studded with drainage holes, or simple black garbage bags — all of these solutions and more work to create quality compost as long as you’re using the right ingredients! 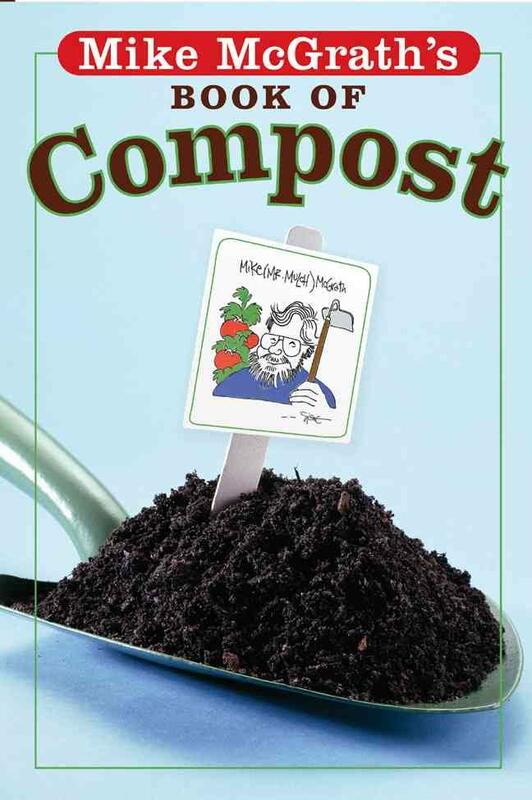 My favorite book is Mike McGrath’s Book of Compost, which is written in plain English in a light and humorous style. There’s even a chapter on vermiculture (composting using worms). [Note: for more information on vermiculture, see our previous post here.] Another resource is a pamphlet produced by the UW-Extension Master Composter program, which can be downloaded and printed here. 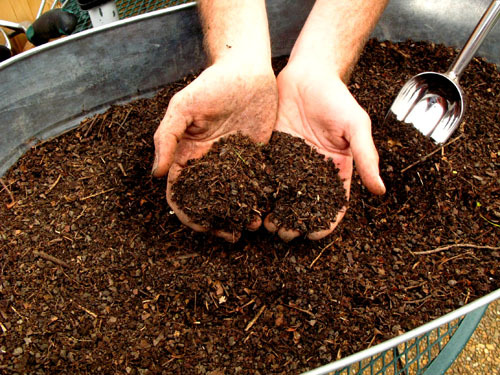 Don’t be afraid to start composting — it’s easier than it looks and you can start small. You don’t have to make enough compost for all of your gardens — just set a goal to make enough for your container plants, or for one container! Your lawn and gardens will thank you for the nutrition, and you’ll save the money you would have spent on expensive fertilizers. I love the time of year when the forest floor is alive with color. Mid to late spring is the prime time for native woodland flowers to shine. The leaves from deciduous trees haven’t fully emerged yet, allowing the sun to penetrate through to the ground, warm- ing the layers of dead leaves that have accumulated through the years to create a rich soil with lots of organic matter. The sun also beckons many woodland blooms to push through. 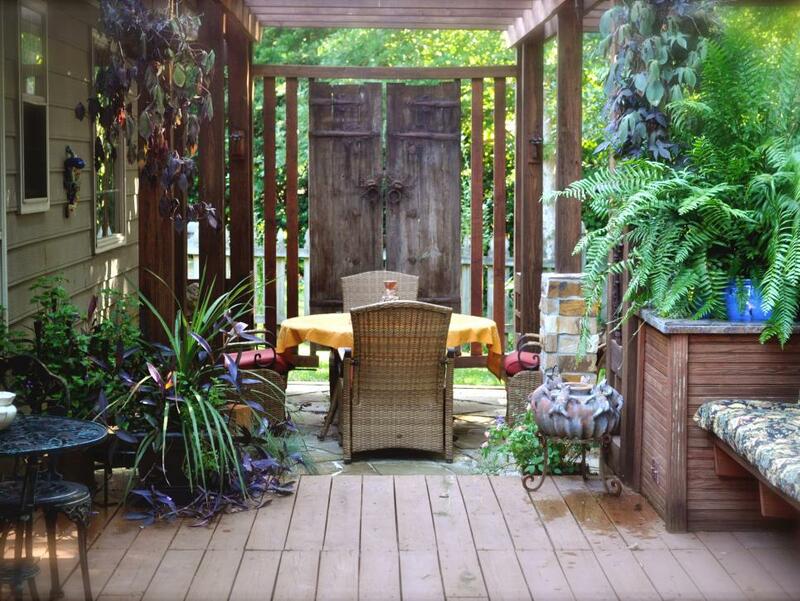 Don’t have a forest in your backyard? No worries! You can still grow many woodland natives. Here are some of my favorites that have done well for me in my shade garden. Jack in the Pulpit (Arisaema triphyllum) Member of the Arum family. Prefers moist soil. 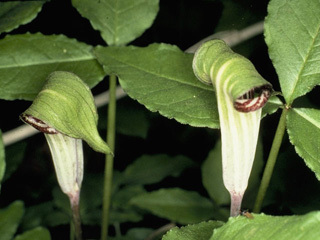 An exotic looking plant with a hooded flower or “pulpit.” The leaves can resemble those of Trilliums, but are generally larger and have deeper veining. The flowers produce a cluster seed head which turns a brilliant red in fall. Yellow Trout Lily (Erythronium americanum) Member of the lily family. Can tolerate dry shade. Nodding yellow 1″ flowers. The leaves have a beautiful mottled appearance that is said to resemble the coloring of a brown trout, from which it receives its ” name. Do not allow tuberous bulbs to dry out when planting. Be patient – they can take from 4-7 years to bloom from seed. Smooth Solomon’s Seal (Polygonatum biflorum) Member of the lily family. Can tolerate dry shade. Long arching stems produce small inconspicuous light green blooms along the stem that hang below the leaves. When its stalk breaks away it leaves a distinctive mark that is said to resemble the seal of King Solomon, from which it derives its name. Virginia Bluebell (Mertensia virginica) Member of the borage family. Prefers moist soil. Can also tolerate morning sun. Also called lungwort. Foliage will die down by mid-summer. Beautiful groups of bell-like flowers that start off pink then change to light blue. Hybridized versions available. Wild Columbine (Aquilegia canadensis) Member of the buttercup family. Can tolerate dry, rocky soil. One of the most stunning woodland flowers, in my opinion. It was once considered for our national flower because the shape of its orange and yellow flowers resemble the talons of a bald eagle. 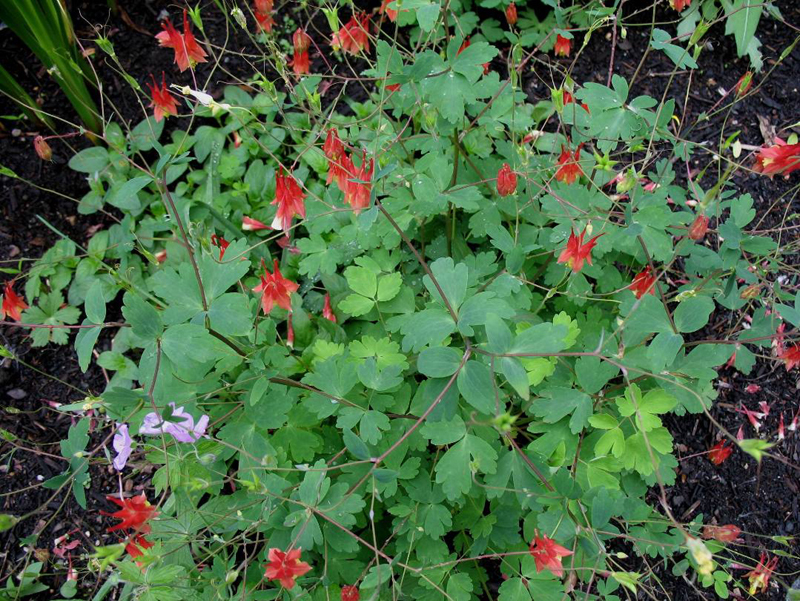 Aquilegia is Latin for “eagle.” Loved by hummingbirds and sphinx moths. Many hybridizes versions are available. 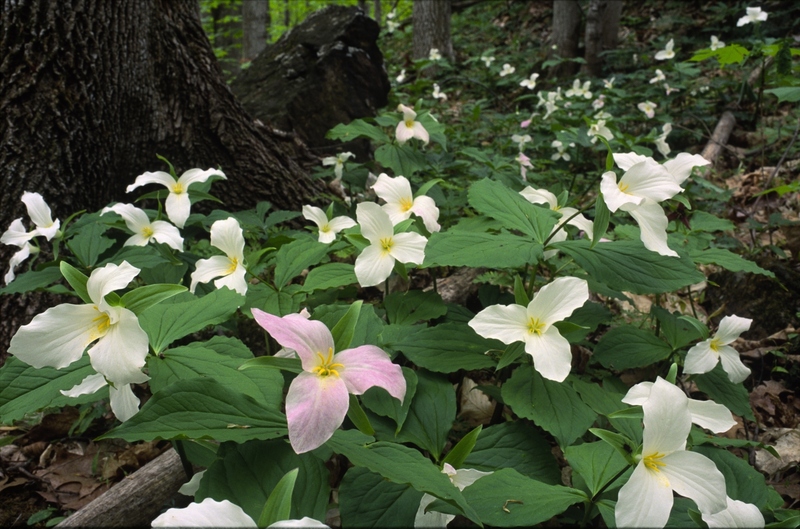 ground level view of forest trilliums in spring bloom. Trillium (Trillium Grandiflorum) Member of the lily family. Prefers consistently moist soil. Large pure white three-lobed flowers that fade to pink. Some unique hybrids are also available featuring purple flowers, versus the white three lobed flowers commonly seen. Seeds are dispersed by ants that carry them into their nest, but don’t eat them. Be sure to purchase woodland flowers from a reputable nursery that has not cultivated their plants from wild stock. It is illegal to dig up many woodland native species. Seed collection, however, is a wonderful way to preserve and propagate your own plants. Tired of replanting herbs every year because they don’t survive our harsh winters? Want to try some new flavors and fill out some of those empty spaces in your garden? Try planting perennial herbs! There are so many hardy herbs that fit the bill, you’ll want to refine your garden plan before choosing plants. Is this a culinary herb garden? If so, consider chives, garlic chives, fennel, sage, tarragon, thymes, winter savory, and — as long as you keep it in a confined space — mint. If your interest is more in medicinals, you’ll want to try arnica, catnip, echinacea, feverfew, valerian, and comfrey (which should only be used externally no matter what you read). And don’t forget that some annual herbs are such rampant self-sowers that you’ll have to plant them only once. Borage, dill, chervil, and coriander will come back reliably year after year as long as you let some plants go to seed. They won’t necessarily come up right where you want them, but a little untidiness never hurt any garden, and they are easily weeded out if they’re really in the way. Note: if you have space for your herbs near your back door, they’ll be handy for throwing into your cooking. 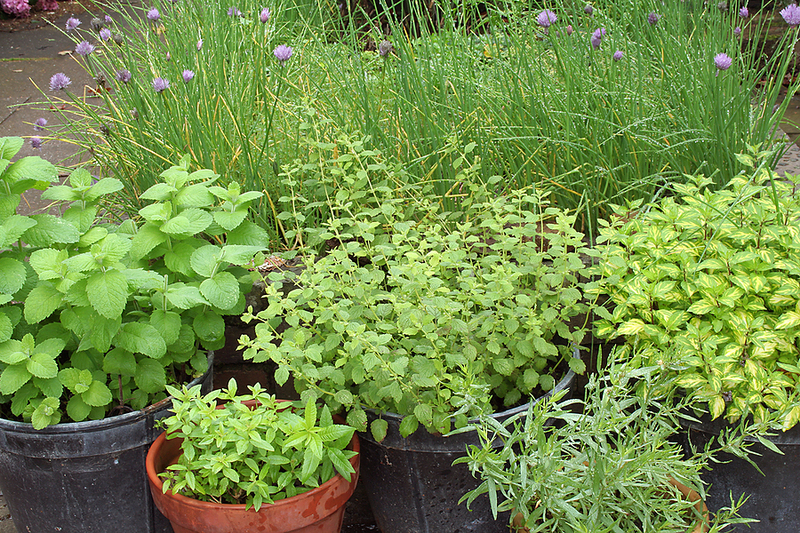 Containers of fresh herbs growing near your bar-b-cue grill will liven up your outdoor cooking.